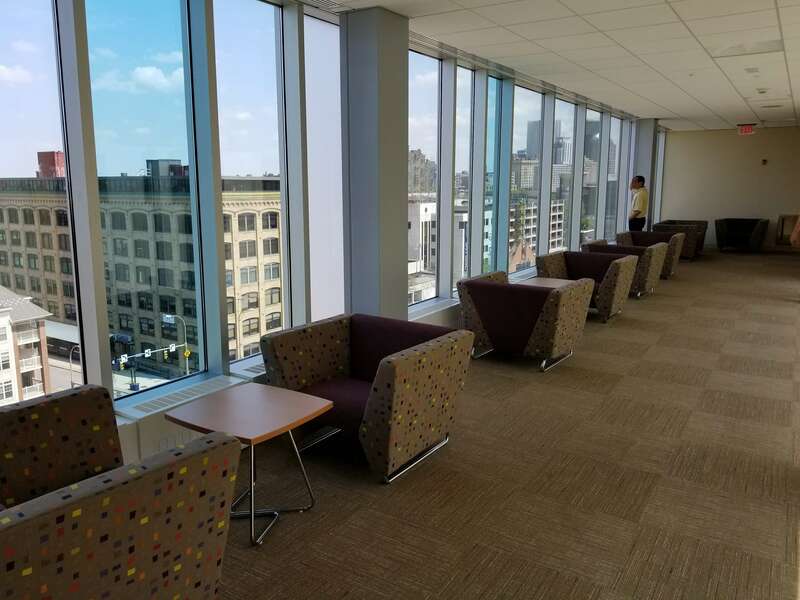 ~Brian P. Kelly, Project Executive, Manning Squires Hennig Co., Inc.
Overview: For their new downtown campus, Monroe Community College chose the Kodak building on State St., adding to a welcomed renewal of Rochester’s historic High Falls area. 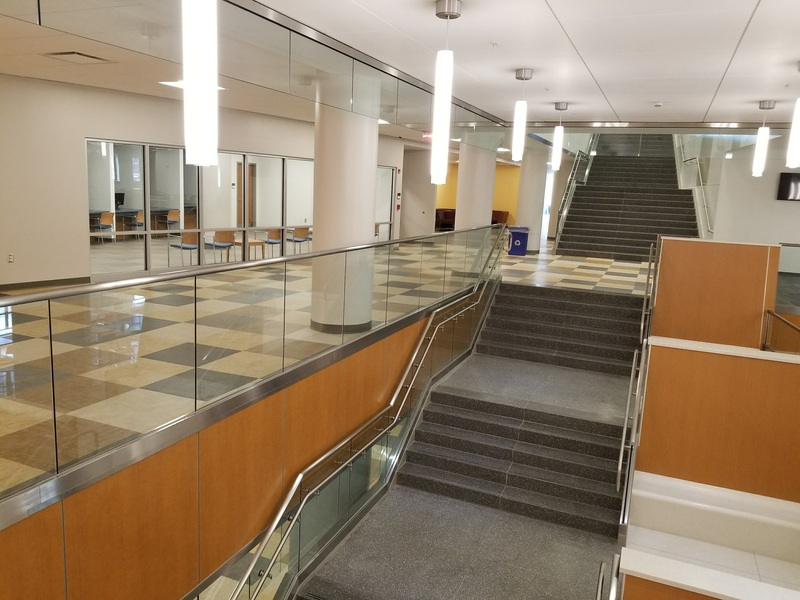 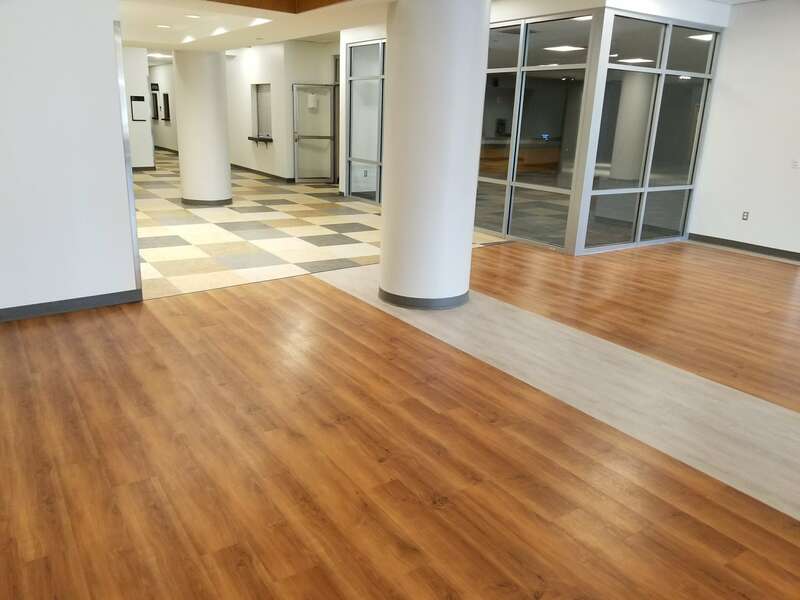 To transform this space for its new purpose, we used linoleum tile in classrooms, carpet tiles in offices, and in the more public areas, a luxury vinyl tile with the appearance of wood. 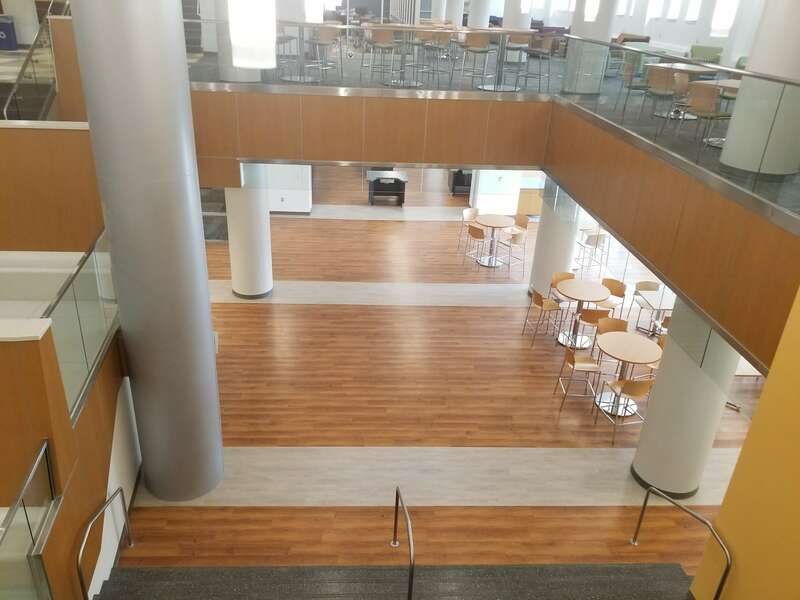 We chose materials that would address a variety surface requirements, and also work together for a cohesive and finished appearance. 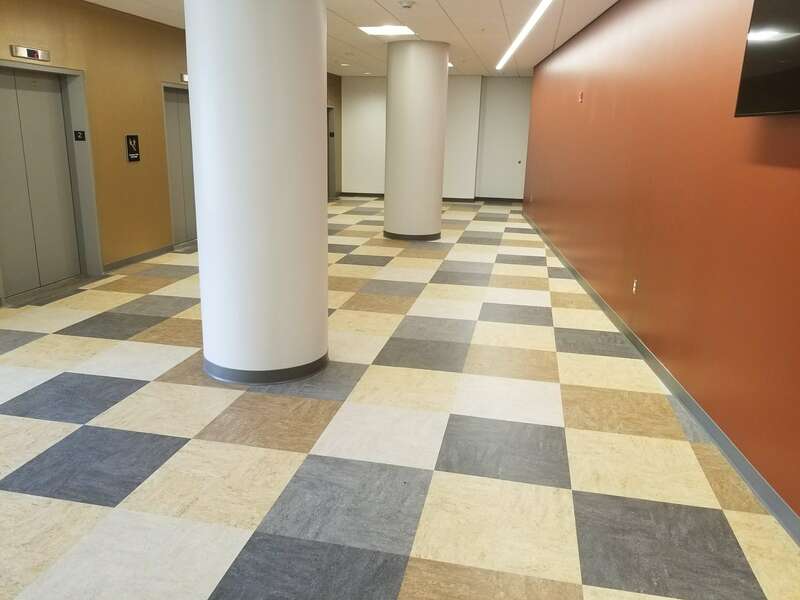 Materials: Linoleum tile, luxury vinyl tile (LVT), carpet tile, and broadloom carpet.